With the update 0.5.11.0, World of Warships received a very important addition, the armor viewer. 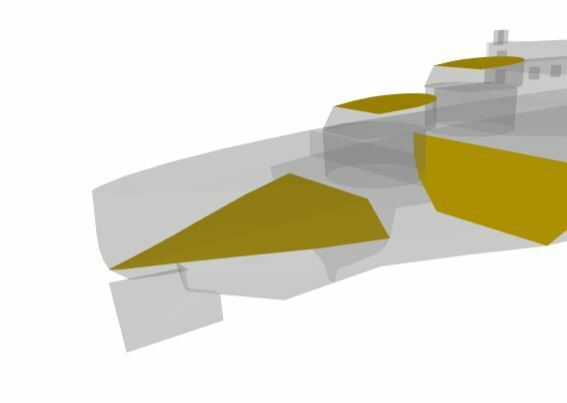 As the name suggests, this system allowed people to see the different armor layers of ships. However, this armor viewer doesn’t give the whole story. Some plates of armor are in the game, yet, they are not visible directly with the armor viewer. I often come across people wondering why a certain shot wasn’t a citadel and those sorts of things so I thought that it was necessary to clear the mist surrounding the armor models of the game. Now, these armor plates have different natures but they are mainly armored decks and a few bulkheads. However, only the armor plates that really matter will be covered. For example, the steering gears are armored but it rarely will come into play in a significant way. This would also mean that pretty much all ships would have to be covered. Plus, I will not cover the secondary batteries armor. 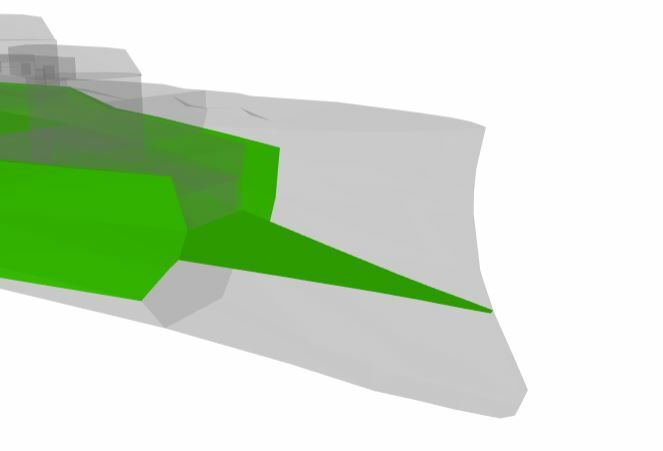 While they exist and can have an impact like the 64 mm armor covering the 127 mm DP secondary batteries of the Montana, even with gamemodels3d, some are not visible. 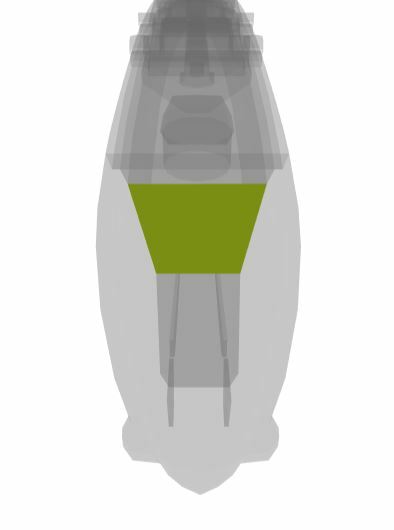 For example, the 130 mm DP secondaries of Moskva and Stalingrad that have a relatively thick armor protecting them (between 52 mm and 62 mm considering 380 mm HE shells can penetrate them but Henri IV with IFHE will get shattered shells on them). We will clear this nation by nation and tier by tier as they all have different philosophies in terms of armor schemes that evolve and change through the tech tree. Get ready for a long, long adventure through the secrets of the armor models of World of Warships. Our first chapter will be dedicated to the American warships. In the U.S.N. tech tree, hidden armor plates will be found in low tier with armored cruisers and on battleships. Let’s start with Tier II. 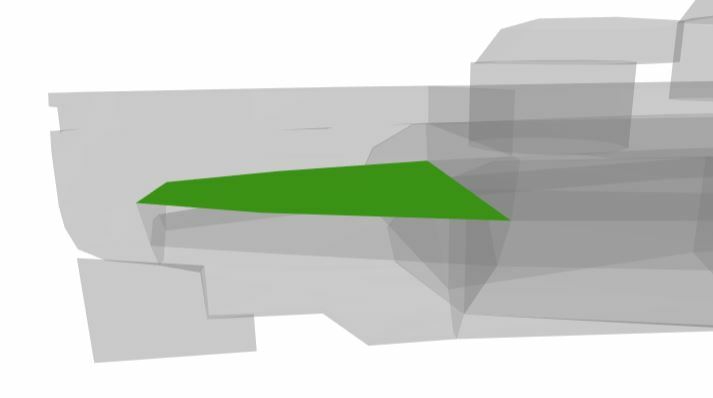 The Chester possesses an armored deck inside her bow as well as her stern. This armored deck is 19 mm thick and is an extension of the citadel’s roof. 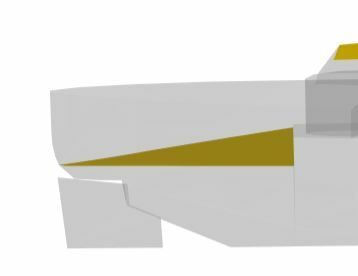 This armored deck will protect the ship from taking citadel from the front or the back by the different cruisers that you can meet at this tier and can overmatch the 6 mm bow and stern. The AP shells will basically bounce on it. However, the battleships will have no issue going through it. Just like the Chester, Albany has an armored deck in the bow and stern. This time though, it is much thicker with 38 mm on the sides of it and 25 mm at the top. This means that even the battleships cannot reach easily her citadel when she is angled to them. I will cover these 2 ships at the same time since they are basically the same ship but one is blue. St. Louis (and Charleston too) was always considered to be a tank for this tier. Well here is one more reason why. Her armored deck is 76 mm on the sides and 51 mm on the top. Basically, this means that even Yamato wouldn’t be able to citadel her through the bow or stern as her shell would simply bounce on that armored deck. She will still take a lot of damage from penetrations of course. Let’s open the list of battleships with hidden armor plates with the South Carolina. it is rising from the end of the stern allowing it to cover almost entirely the back athwartship of the citadel except for the 2 top corners because of the side of the plate being angled downward. Well, considering they are sister-ships, they have pretty much the same armor layout so I will cover them both at the same time. Also, starting from this tier, the U.S. cruisers have the All or Nothing armor scheme so no armored deck in the bow or in the stern. The Wyoming presents similar armored decks as the South Carolina. For the bow, she has deep below the waterline a 51 mm thick horizontal plate covering the lower part of the front athwartship. Just like for the South Carolina though, this will provide limited protection against citadels through the bow. Why would you have one armored deck when you can have 2? The Wyoming has indeed 2 armored decks one above the other inside the stern. The first one is a horizontal plate of 21 mm. The problem is that all battleships that you can face have at least 305 mm shells so they will overmatch this plate. However, the one below is another deal. The second armored deck is 76 mm and as the same shape as the one on the South Carolina. It will then protect entirely the back athwartship of the citadel as it is very thin at its end. Once again, sister-ships so let’s kill two birds with one stone. 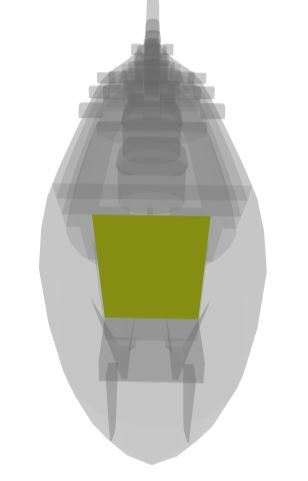 The armored deck inside the bow is 25 mm thick which means that it will bounce 356 mm shells and below that would penetrate the bow. However, once again, it is deep below water so the chances for it to be useful are limited. Once again, there are 2 armored decks inside the stern. The first one is 89 mm thick and the one below is 68 mm thick. basically, the chances of scoring a citadel through the stern are close to 0. Starting with New Mexico, there is no armored deck inside the bow of the ships. Also, while the New Mexico has 2 armored decks inside the stern, the second one is 6 mm thick so you can consider it to just be decoration. 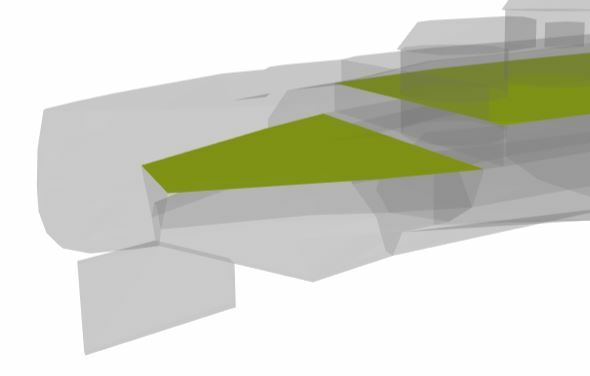 For the first armored deck, it is 160 mm thick and it is at the same level as the citadel roof protecting the back athwartship of the citadel from being penetrated. 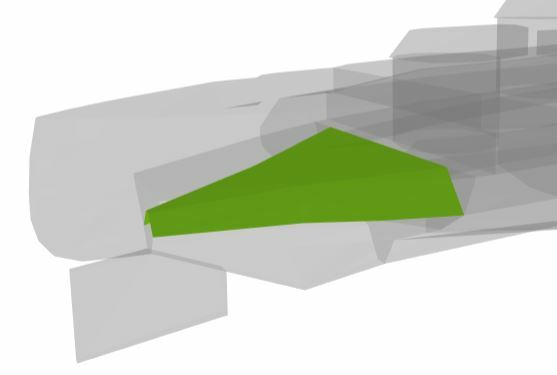 However, a shell can still possibly pass under that armored deck and reach the citadel but this is if the shell is able to penetrate the extended belt and then also hit the citadel with the right angle. Another thing to note is that it might cause full penetrations from AP bombs considering the thickness of the plate. Here, it’s exactly the same as the one on the New Mexico with 160 mm thickness and it’s again at the same level as the citadel’s roof. For both sister-ships, there are again 2 armored decks in the stern but the second one is 6 mm thick so nothing to see here. The first armored deck, however, is 160 mm thick and is at the same level as the citadel roof so exactly on the waterline. 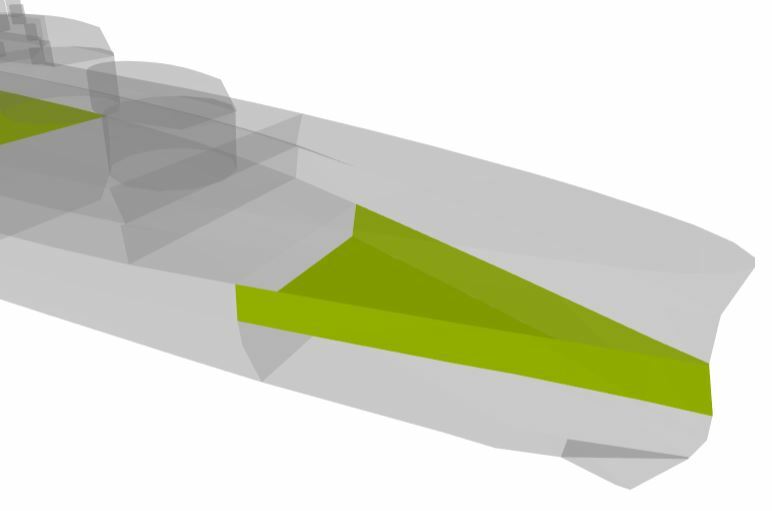 Considering the extended belt below it, the chances of scoring a citadel through the stern are very low. 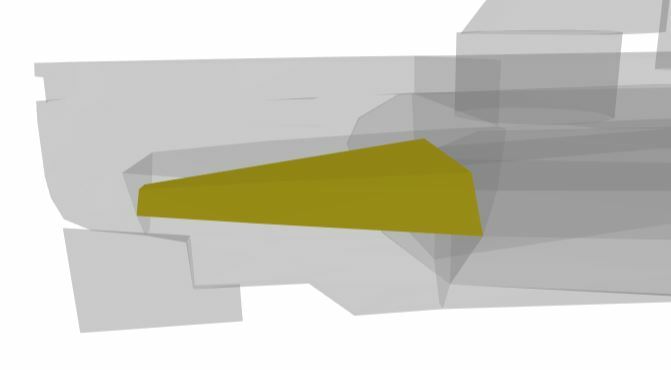 The next hidden platings are a bit special as there should be an option to visualize them in port because it’s not hidden in the bow or the stern but in the middle section of the ships. I’m talking about the main armor decks of the high tier US battleships that protect them against plunging fire and AP bombs. Side note, they also have an armored deck inside the stern. 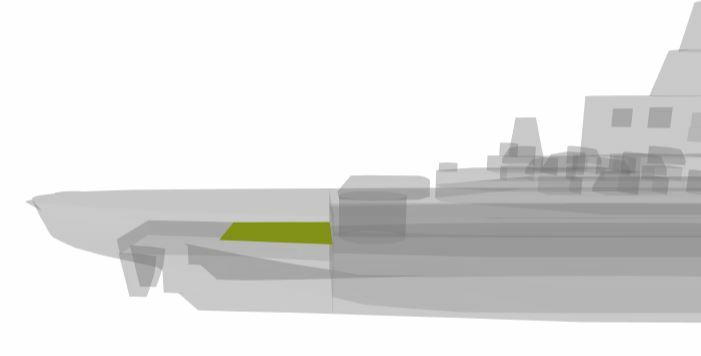 North Carolina’s main armor deck is 140 mm thick. This deck gives her a certain level of protection against AP bombs mostly but also against plunging fire that could possibly reach the citadel. As for the armored deck inside the stern, it is 235 mm thick and strangely angled at 6° down towards the front. Even though it is short, it will still provide good protection for the back athwartship of the citadel if the shells don’t pass below it. Both sister-ships have a main armor deck of 154 mm protecting them from AP bombs. Also, they have an armored deck in the stern that is the extension of the steering gears armor. This armored deck is 121 mm thick but it isn’t as wide as the citadel so overall, it doesn’t bring as much protection as the previous armored decks. Of course, it will still save you from certain citadel through the stern by the likes of Yamato but shells have a certain chance of just passing next to it. This hidden armor plate is actually interesting because it used to be visible. Back then, it was the citadel roof. After a lot of complaints from players judging the citadel to be too vulnerable, the citadel roof was lowered to the level of the 19 mm splinter deck. Montana underwent the same change. We are looking here at a 152 mm main armor deck so, like the previous ships, it’s giving them solid protection against AP bombs and plunging fire. As for the armored deck in the stern, it is 142 mm thick and is this time as wide as the citadel. This will protect effectively the back athwartship unless shells are somehow passing below that armored deck. 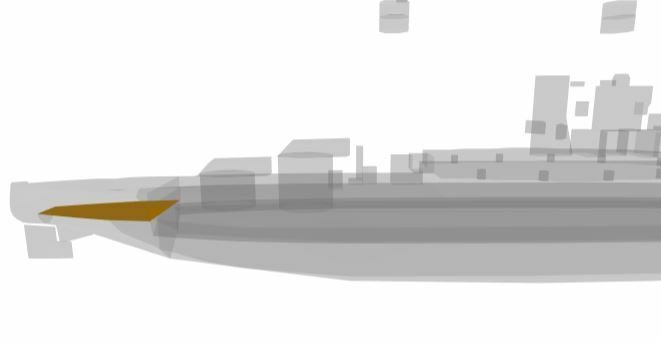 Montana’s main armor deck is 150 mm thick giving her the same type of protection as the previous ships against AP bombs and plunging fire. 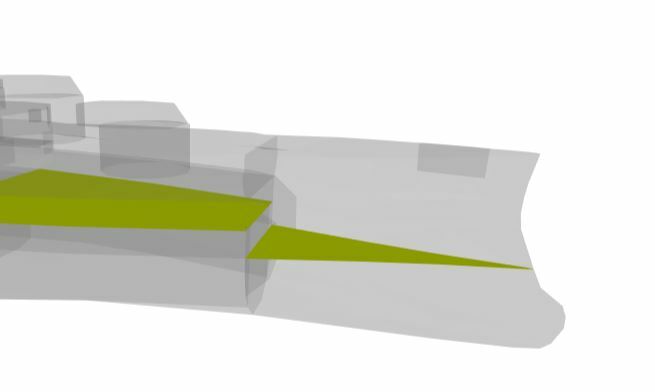 The shells able to penetrate the stern still have a fairly high chance of passing next to the armored deck or below and then penetrate the citadel. The armored deck’s shape perfectly fits the one of the citadel. This wraps up the first chapter of “The Hidden Armor plates of World of Warships”. As I said at the start, I will cover it nation by nation with the exception of the last chapter that will cover all the tech trees presenting few ships with hidden armor plates. I hope that you appreciated this article. Next Entry Holiday Ops Rewards: Can you use them with 1.4?